Hot Eats and Cool Reads: Best Ever Breakfast or Brunch Strawberry Fruit Salad Recipe plus 6 More Amazing Berry Recipes! Best Ever Breakfast or Brunch Strawberry Fruit Salad Recipe plus 6 More Amazing Berry Recipes! 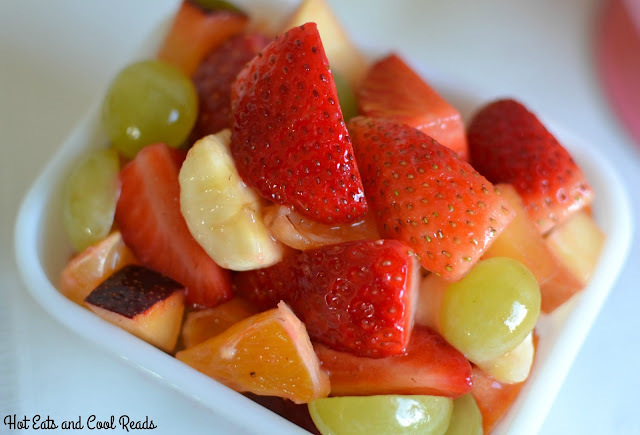 This fruit salad is the perfect addition to any meal! It's simple with a great variety of fruit and a delicious sweet lemon sauce to bring it all together! Have you ever loved a recipe so much that you make it all the time? For me, today's recipe is that one that I love! It's not only me who loves it, but the rest of my family does as well! 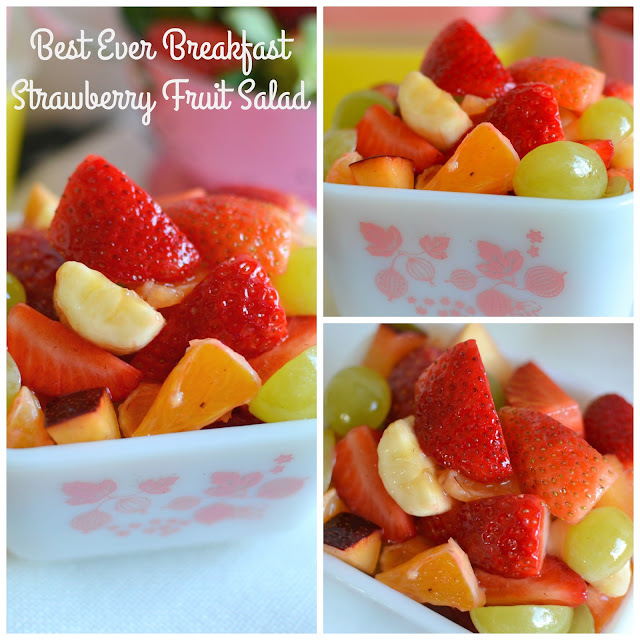 This Strawberry Fruit Salad is SO easy! Plus, you can make it with any fresh fruit you have available depending on the season or what your local grocery store has available. We love eating it for breakfast, lunch, snack and even dessert. It's fresh, and you can use any sweetener that you prefer! 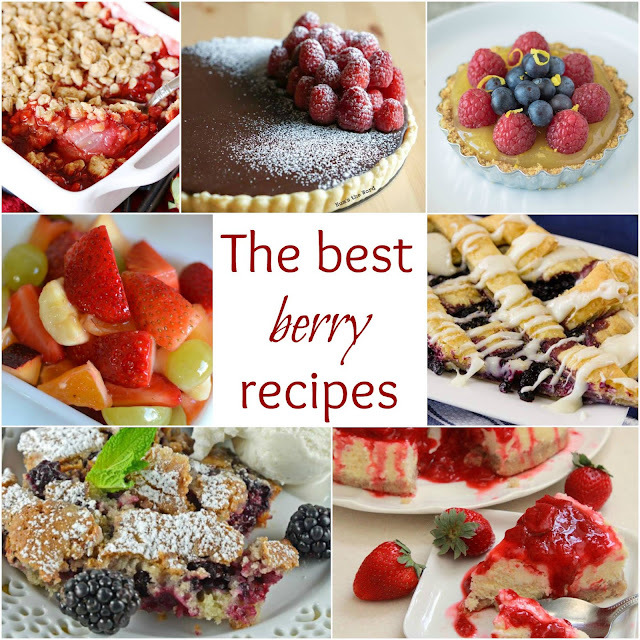 In addition to this wonderful recipe, I'm sharing 6 more berry recipes from my blogger friends! You can scroll down a little further to see what awesomeness they have today! Every month or two, I join my blogging friends for our fun recipe challenge! This month's theme is berries for the upcoming berry season! 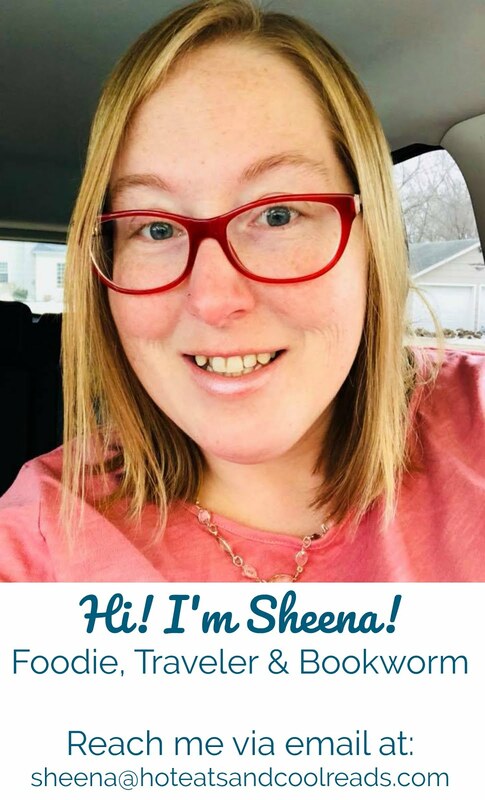 Last month I shared Cheesy Beef and Kale Penne Pasta for the pasta challenge, and Brown Sugar Chocolate Chip Shortbread Cookies for the chocolate challenge previous to that! Last year there were so many good ones including: Slow Cooker Sausage, Apples and Onions, No Bake Creamy Strawberry Pie, Fresh Strawberry and Peach Salsa, Basil Chicken and Hard Boiled Egg Macaroni Salad and last but not least, Buttery Lemon Garlic Rice! We've had some great themes over the last year, and this berry challenge is no exception! 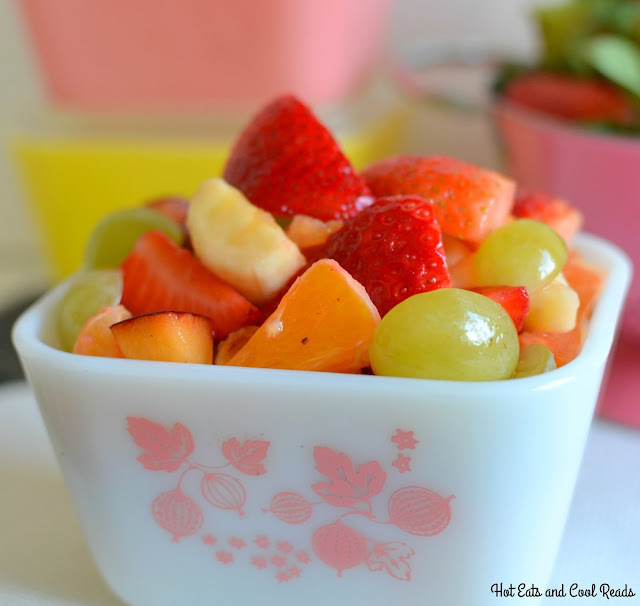 This fruit salad is also great to get the kiddos helping in the kitchen! They can help cut the fruit, squeeze the lemons and measure everything! Plus, they'll love eating it too! I'm always up for any kind of help in the kitchen, and I like that they can learn some extra math by measuring! Life skills and learning are crucial and it's great when they don't even realize they're learning! I hope this becomes a new family favorite at your house! Enjoy! If you like this recipe, follow the Hot Eats and Cool Reads board on Pinterest here! Combine all ingredients in a bowl, tossing with a spoon until mixed well. Refrigerate for 30 minutes, tossing again, then serve. Simply sweet and beautiful too. This is perfect for Easter brunch. Thanks for sharing. I could eat this all spring and summer, great recipe. These are some of my favorite fruits all tossed together in one convenient bowl! This will be perfect for Mother's Day brunch! You can't go wrong with fruits for breakfast! Honestly, I need to incorporate more fruits into my diet and this is the best and yummy way to do it! Yum! 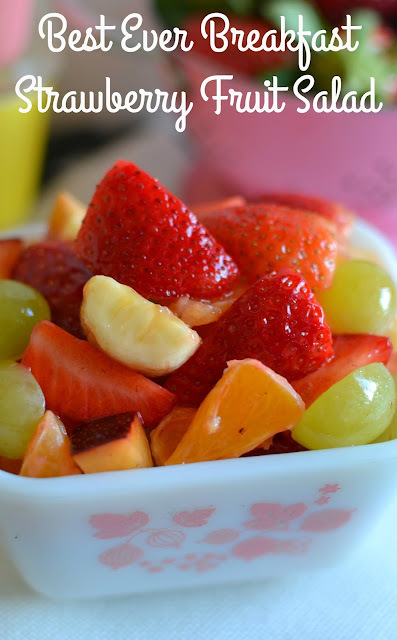 A simple fruit salad is always a hit and easy! Great combination of fruits! What a beautiful fruit salad! I bet that little pop of lemon really makes it extra tasty.